This article was rearranged by our editorial from the original by Momoko Furukawa, Assistant to Executive/PR at TalentEx. TalentEX is a Bangkok-based startup offering a media outlet and an online platform for recruitment and human resources. 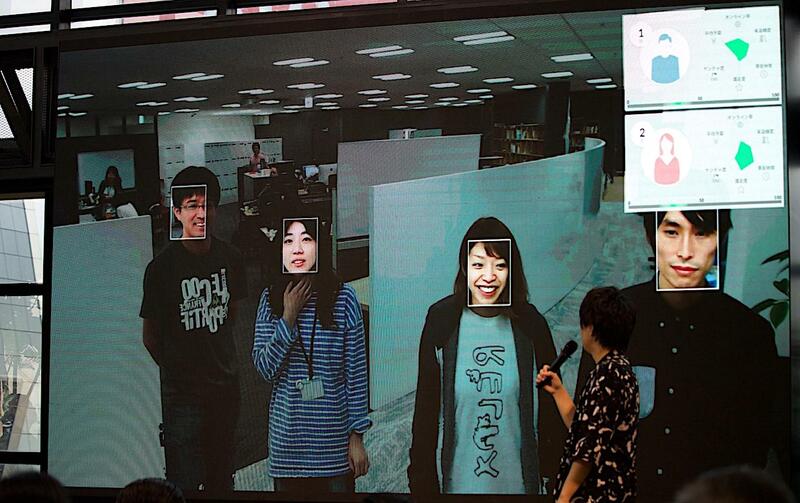 All the photos in this article were taken by Tomohiro Ueno, Corporate Planning at TalentEx. 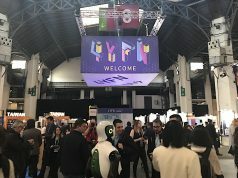 See our past coverage to learn more about TalentEx. 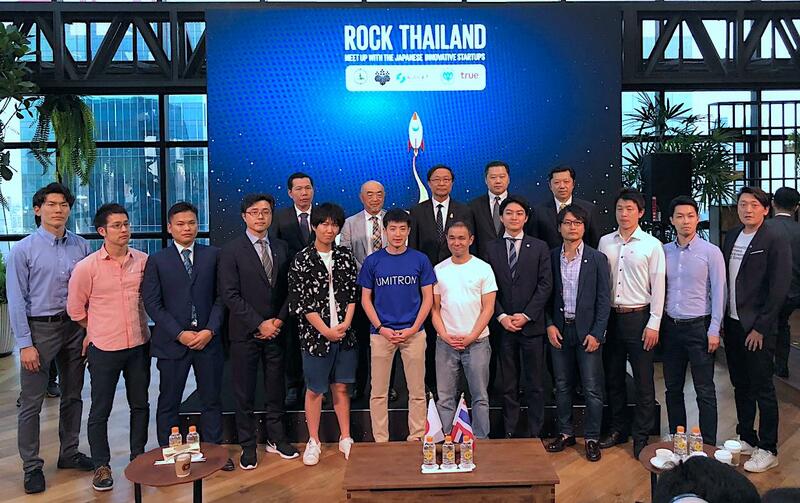 The Japanese Embassy in Thailand together with the CP Group (Charoen Pokphand Group), operating 7/11 convenience stores in Thailand and also owning local mobile telco giant True, held a Demo Day and matchmaking event called Rock Thailand in March, aiming to help Japanese startups and Thai conglomerates to work together. 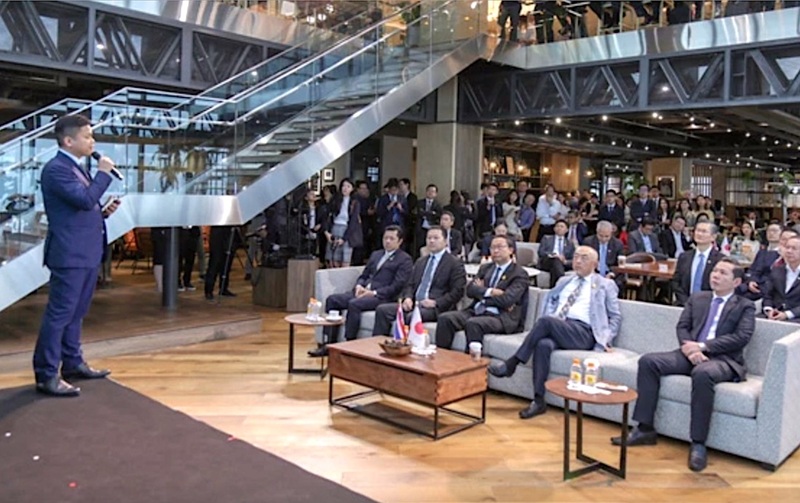 The event is part of the Open Innovation Columbus (OIC) initiative, which promotes strategic alliances between Japanese startups and Thai conglomerates. With regards to OIC-related events, this follows the DX Summit held by the Japanese Embassy in Thailand last October. The majority of Thai conglomerates do not reap the benefits of a digital economy. In Japan, large companies are moving to start digital transformation (DX) by collaborating with startups (it’s so called ‘open innovation’), while in Thailand, due to the nature of the verticals that local startups specialize in, DX through open innovation will likely still take time. 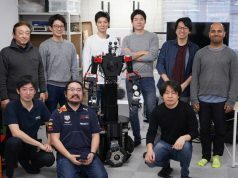 In response to this, OIC selected a team of 10 Japanese startups that lead verticals likely to be useful for DX (AI, robotics, IoT, logistics), and that are particularly interested in advancing into Southeast Asia, including Thailand, and invited them to Bangkok. 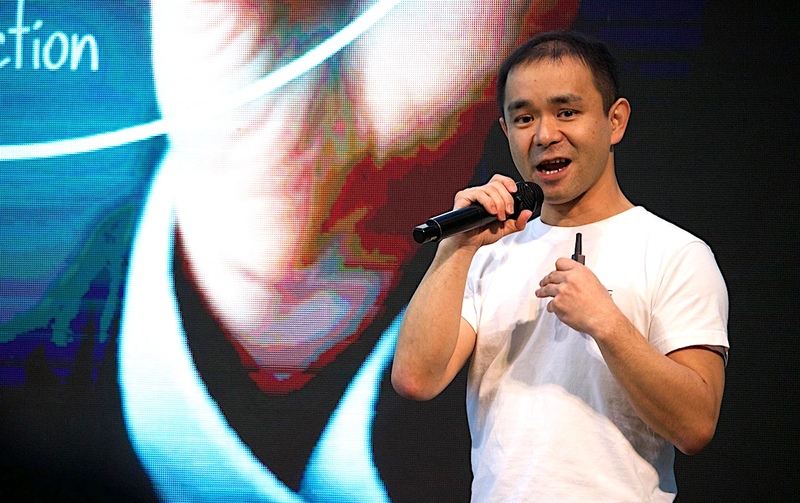 This is an attempt at targeting cross-border open innovation and focuses on using the power of Japanese startups to foster DX for Thai conglomerates. Representatives from the 10 Japanese startups pitched in front of top executives from major corporations such as CP Group’s CEO Suphachai Chearavanont, the Petroleum Authority of Thailand (PTT), major retailer TCC known for its beer brewing brand Chang, Kasikornbank, the Thai royal family-backded SCG (Siam Cement Group), and the big name in hospital management BDMS (Bangkok Dusit Medical Service). Individual consultations between representatives were also made with the goal of establishing cooperative relationships starting with a PoC (proof of concept). 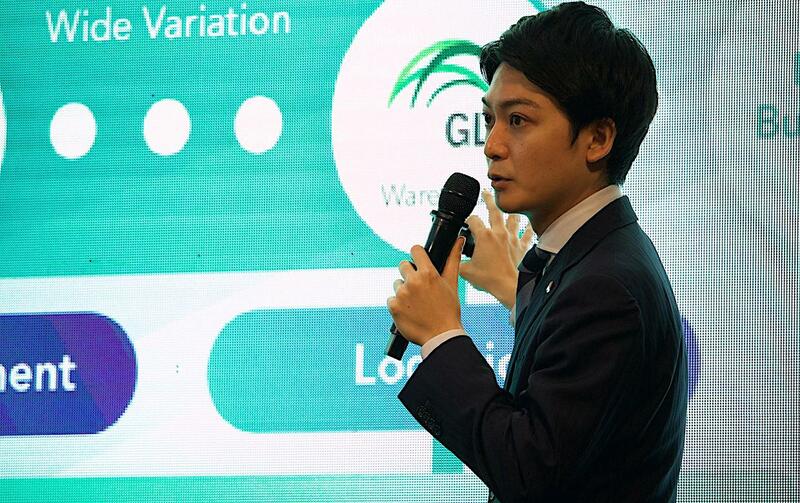 A committee made up of 10 venture capitalists and media personnel from Japan who have deep knowledge of the startup scenes in Southeast Asia, including Thailand, selected the startups to participate in this first edition of the event. The following is an introduction of the participating startups. They are introduced in the order that they pitched. The collaboration specifics were not disclosed except between the Thai conglomerates and startups, so we introduce only the comments from participating startups. PKSHA Technology (TSE: 3993) develops algorithm solutions focused on natural language processing, image recognition, machine learning and deep learning technologies. The company also develops function-specific algorithm modules and provides services to use them as core functions/ sub-functions for various software/hardware. Founded by engineers and researchers who conduct algorithm research, approximately 70% of PKSHA’s engineers who have completed doctoral programs make up their team along with a collection of qualified personnel with academic expertise. PKSHA said that their resources could be used to provide services adapted to each industry such as weather and equipment maintenance. ABEJA provides all kinds of solutions for a variety of industries using its core technology, the AI platform “ABEJA Platform”. 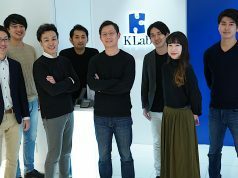 The company uses deep learning to automatically extract feature values from accumulated big data without human intervention. 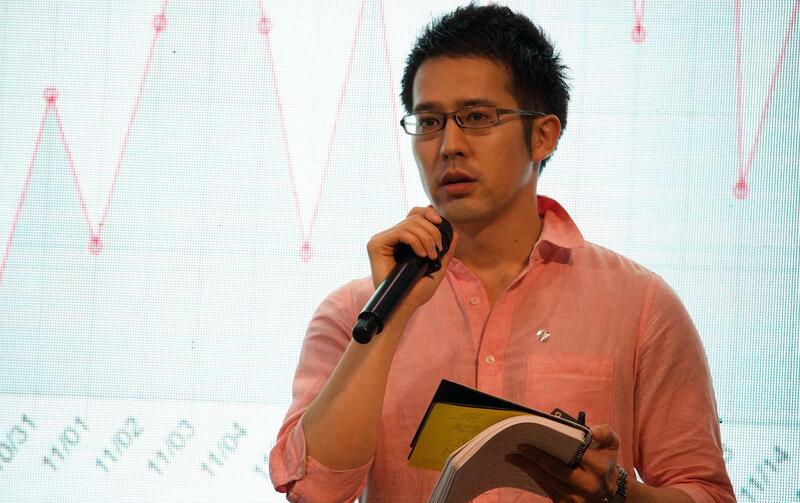 Naoki Tonogi, Managing Director of ABEJA Singapore, cited three of ABEJA’s strengths. ABEJA can provide services for all industrial fields. The company has developed services internationally, and has already achieved results, especially in Southeast Asia. In addition to providing solutions with AI, the company produces its own products. Tonogi shared the following comments regarding the company’s participation in Rock Thailand. 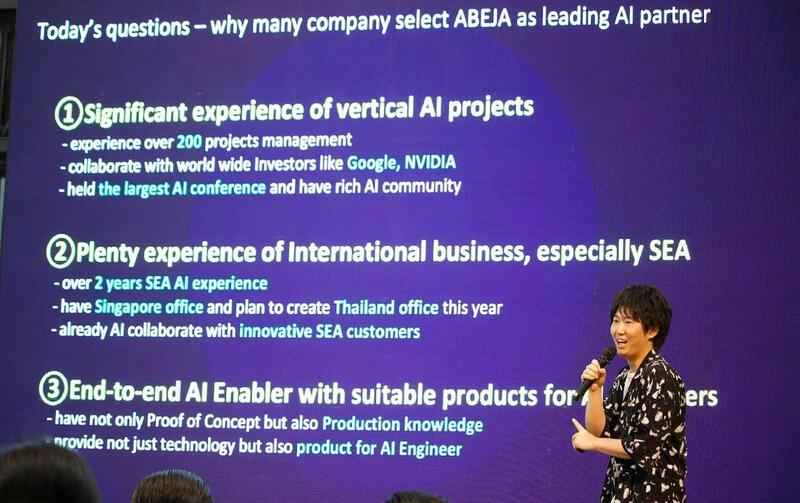 It’s been about two years since I came to Singapore and Thailand, but over the past year or so the interest of corporate management in AI has greatly increased, and we were able to put together a number of projects with them. 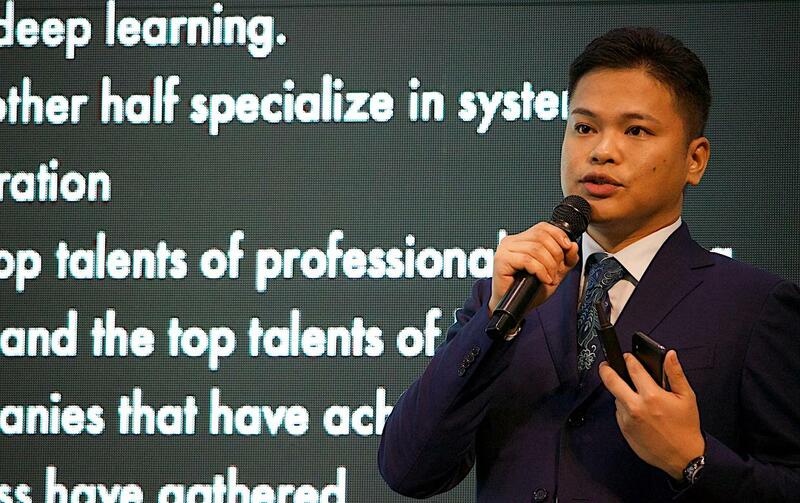 Based on the idea central to our company ‘implementing a fruitful world’, we would like to implement a rich society in Thailand for all the people involved in AI. See also our past articles of ABEJA. Spun off from the University of Tokyo, LPixel has a strength in image analysis for life science. The company is developing software and optimizing AI technology for image analysis in life science such as medicine, pharmaceuticals, and agriculture. 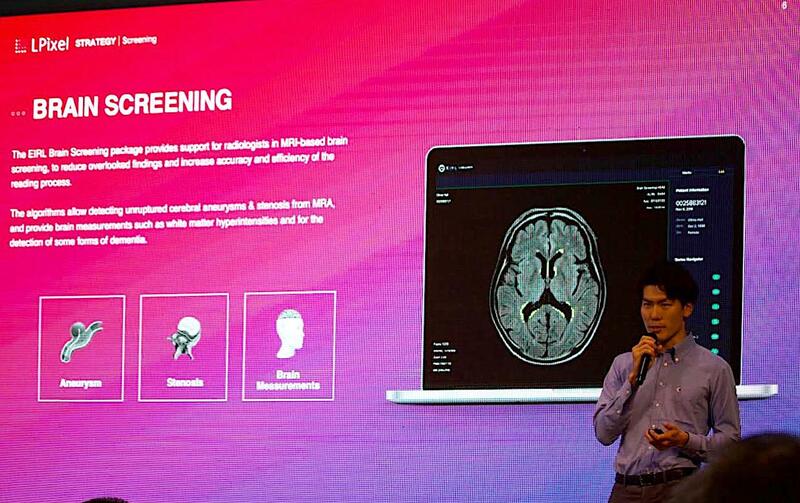 They continue to research and develop medical image diagnosis support using AI in cooperation with the National Cancer Center Japan and a number of other medical institutions. They have expanded into Cambridge, US to provide global services. 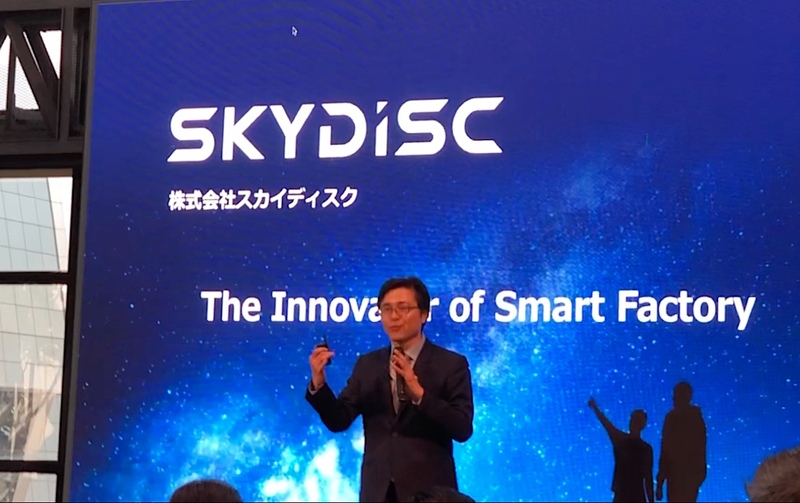 Skydisc develops IoT sensor devices and services that allows users to analyze the data collected using AI. It has most often been introduced in the manufacturing industry, and contributes to creating smart factories by diagnosing abnormalities in machines, increasing yield rates, and improving the accuracy of inspections. Skydisc lands $855K to enhance detachable sensor packages for agriculture et al. 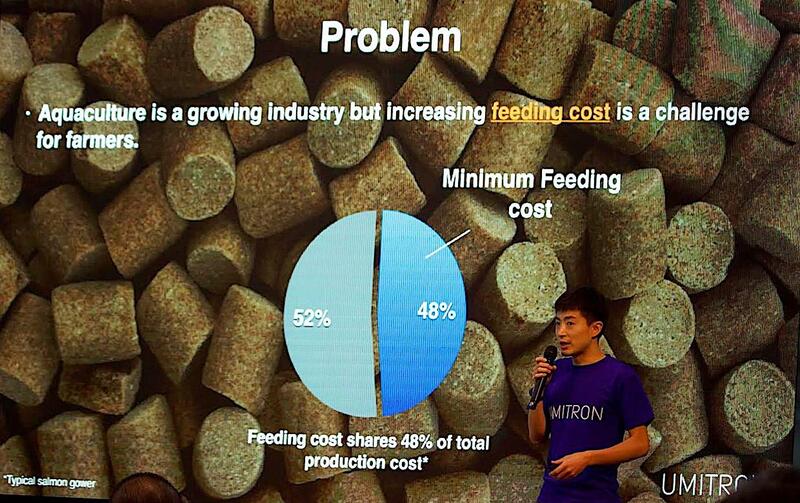 Umitron is working on solutions for food and environmental issues by using technology for aquaculture. The company has offices in Singapore and Japan and it provides services using IoT, satellite remote sensing, and machine learning. Umitron Cell, a smart feeder recently announced by the company, allows users to feed cultured fish on schedule and monitor their appearance autonomously or remotely. 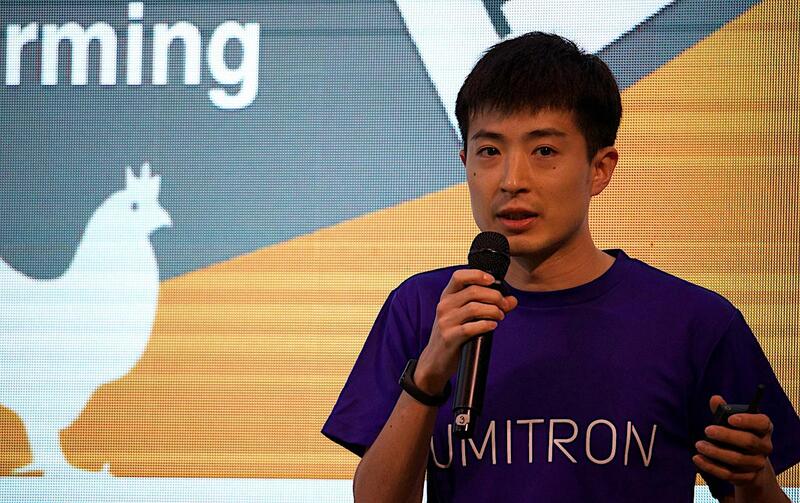 Masahiro Yamada, Co-founder and Managing Director of Umitron, shared shared the following impressions regarding participation in Rock Thailand. I’ve participated in many matching events, but I’ve never been to an event that left me so satisfied. Top class executives from the country’s top conglomerates gathered together, the interviews were set up, and I was able to meet the people I wanted to meet, so it was really great. I was able to talk with nearly all the conglomerates (that participated), and my first order of business is to begin discussions regarding their on-site issues. As far as business partners in Thailand, I expect there is a good chance for collaboration. Telematic startup SmartDrive provides services to collect travel data from cars and other mobility devices and then visualize and analyze it. Their services include SmartDrive Fleet (real-time vehicle management for corporations), SmartDrive Cars (flat-rate connected cars for personal use), SmartDrive Families (monitoring of the elderly), and Public Service (mapping of dangerous areas and traffic sharing). The company has also focused on developing sensors, including drive recorders, and creating its own route for data acquisition. Smart Shopping is a price comparison site for daily goods and food and serves over 400,000 users. 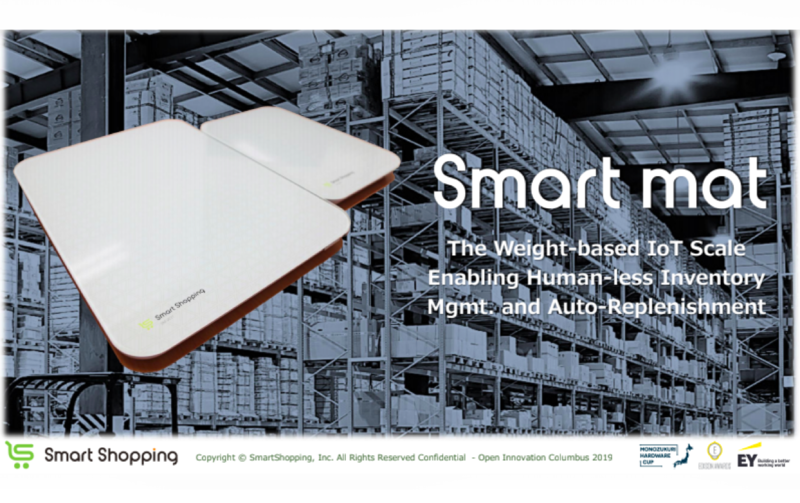 In October of last year, the company launched a new product called SmartMat, an IoT device equipped with weight sensors that enables automatic recurring orders and inventory replenishment for consumables. It is primarily desgined for corporations tand automates the task of always keeping the necessary amount of items that may be easy to forget to order. With Smart Shopping, the pre-consumption weight of the product is stored in the company’s product database and based on regular weight checks asks the user to authorize purchases when the remaining weight is low. Ryosuke Shimohara, VP of B2B Business, Smart Shopping, shared the following comments about participating in Rock Thailand. For WHA, a big name in Thai industrial parks and rental warehouses, we were able to propose added value for logistics facilities, solutions for their factory customers, and supply chain optimization using Smartmats. For the CP Group, Singha (beer brand), and Siam Makro (Thailand’s answer to Costco), we were able to propose the introduction of an automatic recurring ordering solution for retail stores using SmartMats. We hope this will lead to the acquisition of large customers when developing business in Thailand, and lead to partnerships in Southeast Asia, including Thailand. Ground provides logistics solutions with “Intelligent Logistics” as its company slogan. 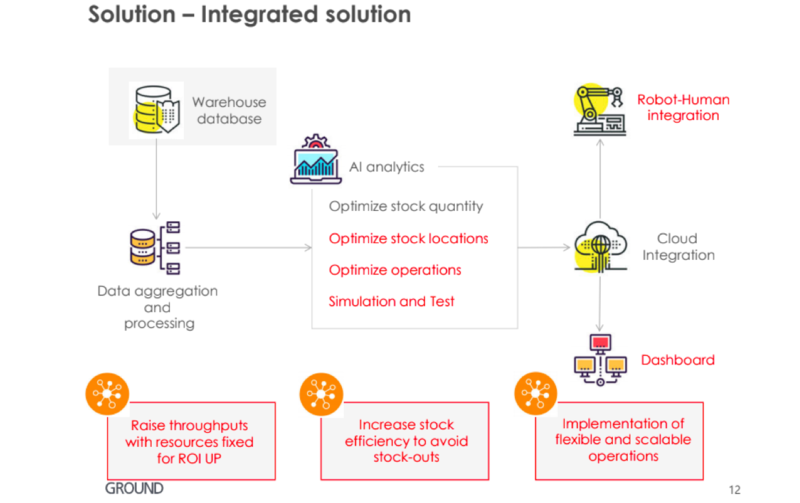 Starting with picking operations in warehouses, the company has built a platform combining robots and AI software to optimize logistics. Problems that companies often encounter include too many options for consumers, consumers becoming easily bored, and the inability to detect consumer behavior in advance (such as cancellations). Ground uses machine learning based on a customer database that can identify consumers’ behavior. Then, based on demand forecasts, it predicts the number of products to be made and the number of sales, and aims to improve the efficiency of all logistics operations. 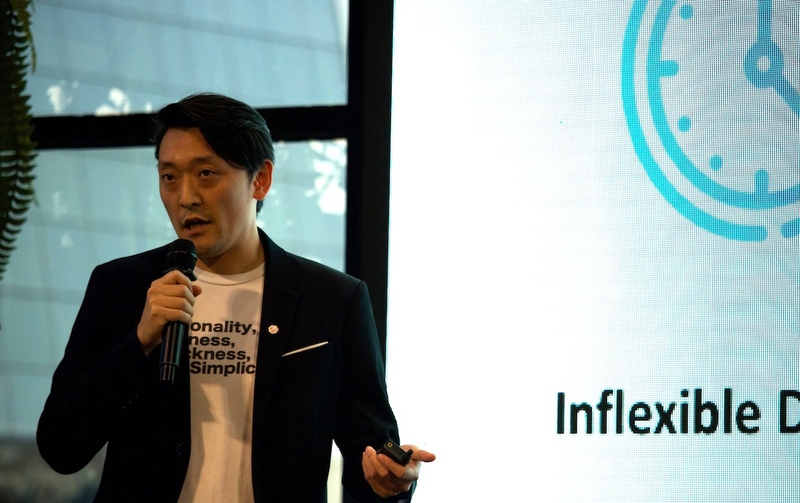 Takatsugu Kobayashi, Chief Data Officer and Head of Global Innovation, Ground shared his impressions of participating in Rock Thailand. We talked with several conglomerates, but we are especially considering whether we can provide solutions to the CP Group, Kasikornbank, and WHA. We believe that we can accelerate the development of our company’s AI logistics software ‘DyAS’ and aim for early market-in to Thailand. For startups that offer both hardware and software like ours, both the speed and scale axes are required–more so than regular startups. In terms of business expansion, if you don’t take the three big steps PoV (Proof of Value) > PoC (Proof of Concept) > PoB (Proof of Business), it is very difficult. In that sense, business development in mature markets tends to be expensive for explanation and introduction costs, and startups with weak capital capabilities are likely to struggle. However, after talking with the representatives from the conglomerates, such concerns have been lowered. I felt like in the current age we cannot compete overseas (especially with Amazon and Alibaba) if we don’t market-in early (in Thailand) and support reverse innovation in Japan. Souco is a logistics sharing platform that has built an online database of warehouses and matches companies that want to lend warehouses with those that would like to rent them. The company simplified the procedures necessary to complete before using the space and made it easy to begin using warehouses with a “small lot” for a “short period” in 3 days minimum from the application date. Since the service launch, user growth has been steady and registered users have reached more than 300 companies. Hacobu offers a shared logistics platform called Movo. 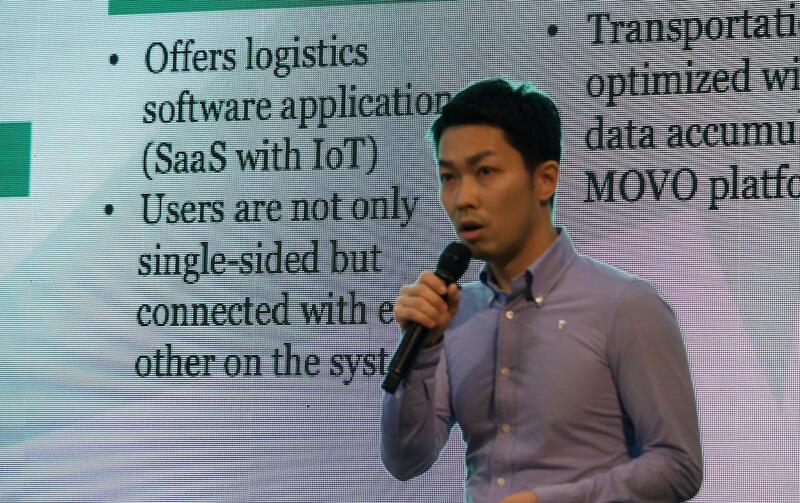 Thanks to the cloud and hardware such as the IoT devices managing moving vehicles, the company solves problems like vehicle dispatch (as an integrated logistics management solution, solves the problem of the difficulty of finding trucks to dispatch), operation management (solves the problem of not knowing location information of the trucks), and berth management (solves the problem of using trucks efficiently because of waiting time). 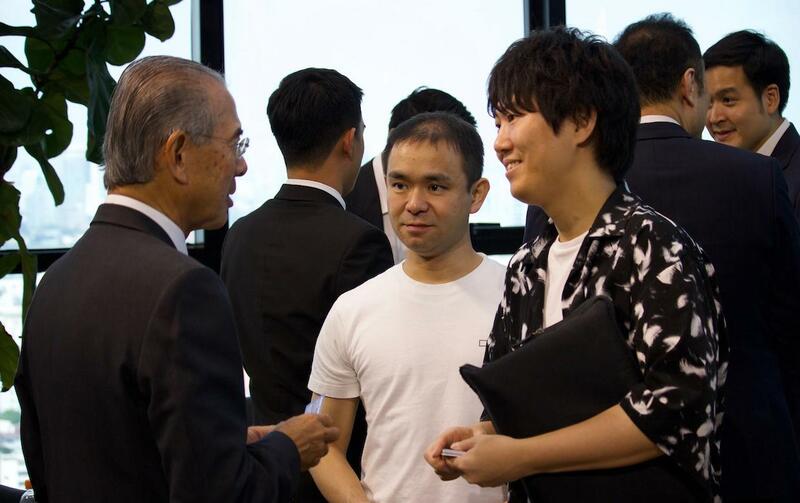 Following their pitches, there was a networking opportunity where talks about collaborations between Thai conglomerates and Japanese startups were lively. Thai executives also had positive comments to share about joining Rock Thailand. Thailand has long established good relationships with Japan and Japanese companies, and I think of Japan as a “good friend”. Based on this trust, perhaps we can create something even more new? I felt that it’s important to incorporate technology (like that introduced today) into our company. 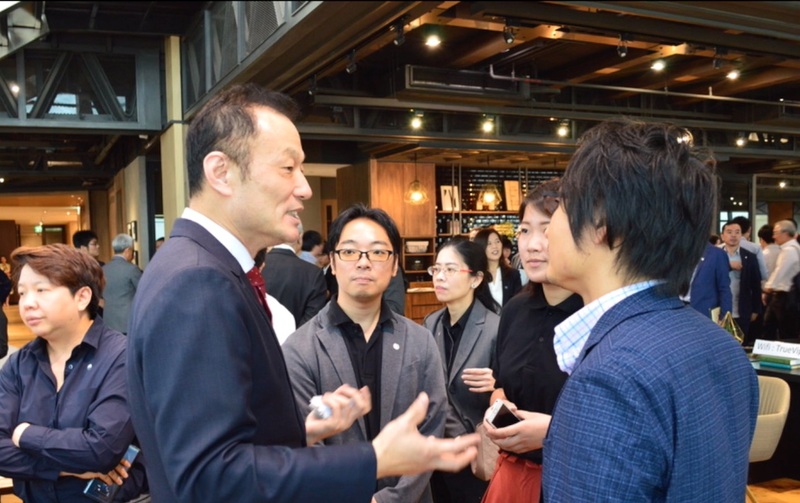 Yojiro Koshi (center), CEO of TalentEX, also also participated in the networking party.